Two posts in one day! Crazy I know!!! I promised and amazing story about the skate shop! Here it is! Early this summer I decided to get my kids skate boards. I am watching one of my friend's kiddos for the summer and her son is into skate boarding. We have a really nice skate park right down the street and I figured that it would be fun and cheap! Well they love it!!! My oldest has been frequenting the skate park almost every night with Chris or I and during the day when it is not raining... crazy summer weather this year!! When I went in to the shop at the beginning of the summer I had no clue what I was doing and laughed as I told them that I needed a piece of wood and 4 wheels times 3. We got to talking as she was showing me the types of boards they had. She showed me one that they had made in memory of a young man who was taken to heaven after a tragic car accident. 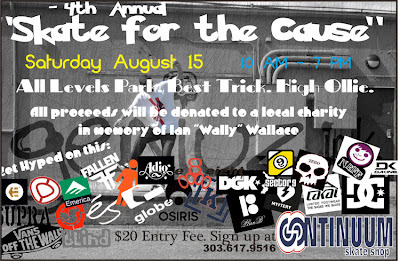 The proceeds of that board go to a non profit fund that was set up by his parents (Ian Wallace Scholarship Fund) to honor his love for life! I told her a bit about Makenzie's story, bought the boys each a skate board and we headed out. While in Costa Rica I received a call from my bank about someone inquiring on Makenzie's fund. When we returned I found out that it was the owner of Continuum Skate Shop She had passed along Makenzie's card. Ian's mom and dad had decided that they wanted to help Makenzie!!!!! GOD IS SO GOOD This brings me to tears! Not only because of the financial help but that fact that we get to go to a skate tournament and touch the lives of pre-teen and teen age kids! Ian and Makenzie get to shine Gods love to so many every day! AMAZING!!! 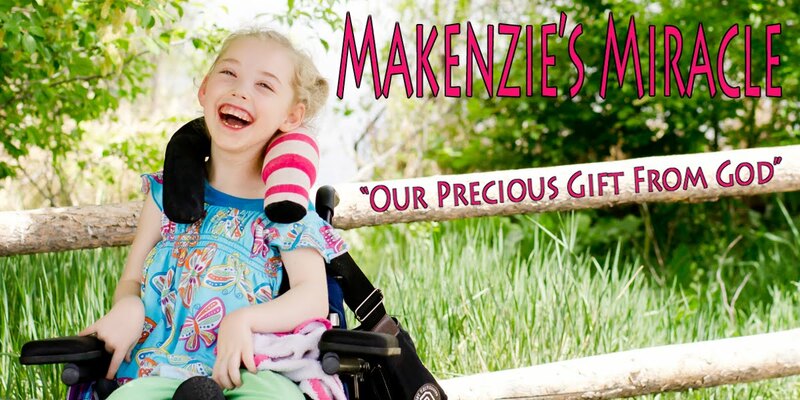 Thank you to ALL who have supported and believed in Makenzie! She is truly a MIRACLE! Please go to Ian's web site! Check out what this family is doing for our community! They are amazing people! THANK YOU, THANK YOU, THANK YOU!!! You have blessed our family beyond what ANY words could express!! !